The phrase 'concept is king' is one of the defining ideas in design education, and it is a tenet that really does hold up. Production, execution, craft - these aspects of the discipline are 'emergent' once the problem contained within the brief has been identified, and the concept has been formulated. But lots of the creative thinking is still bound up in the production part of the design process, where design choices, techniques and nuances are all driven by the concept. 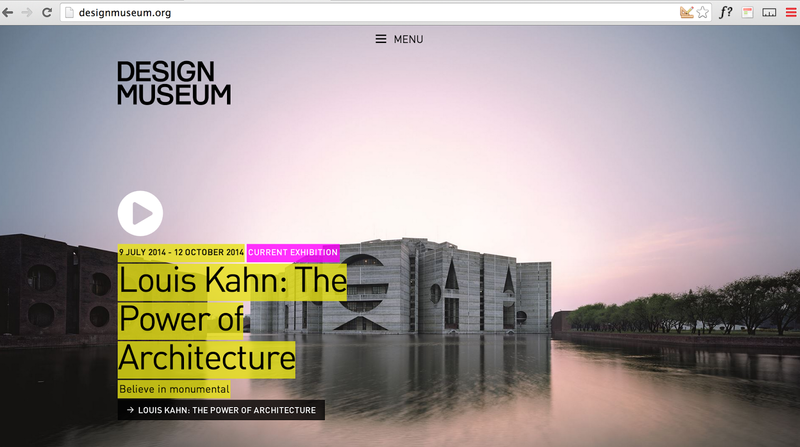 So very often, a simple design technique can be the inspirational spark that pushes the concept. 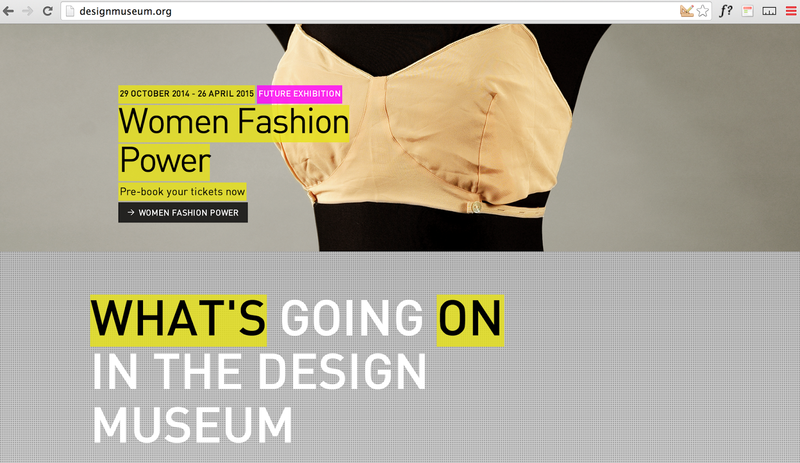 This is achieved by tweaking the underline properties in the character styles palette. Once you've got the settings you want, you can apply it to any piece of text. 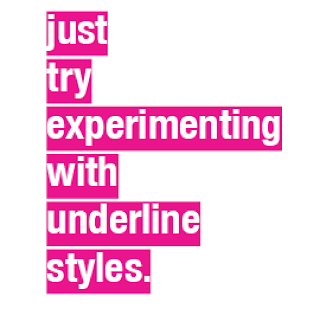 You can also set the underline and the type to the same colour, to produce typeset copy that just looks like horizontal, ragged lines - a technique popularised by Neville Brody in the 1990s (a slightly lazier way to get this effect is to use the rather beautiful typeface Blokk). 1. 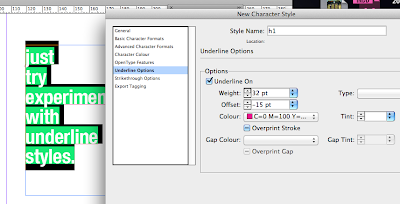 In InDesign, create a text box for your type and type in any phrase. I've used a carriage return for each word, left-ranged, and set to Helvetica Neue Condensed Bold, then set solid at 30pt/30pt. 2. 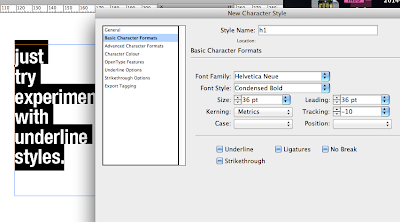 Select the text, then in the Character Styles palette, create this setting as a style, and name it appropriately e.g. h1, and apply to the selection. 3. In this new h1 style, we choose the underline option, and switch preview on in the panel. This allows you to see each change you make. Now tick underline on and you'll see an underline appear for each word.